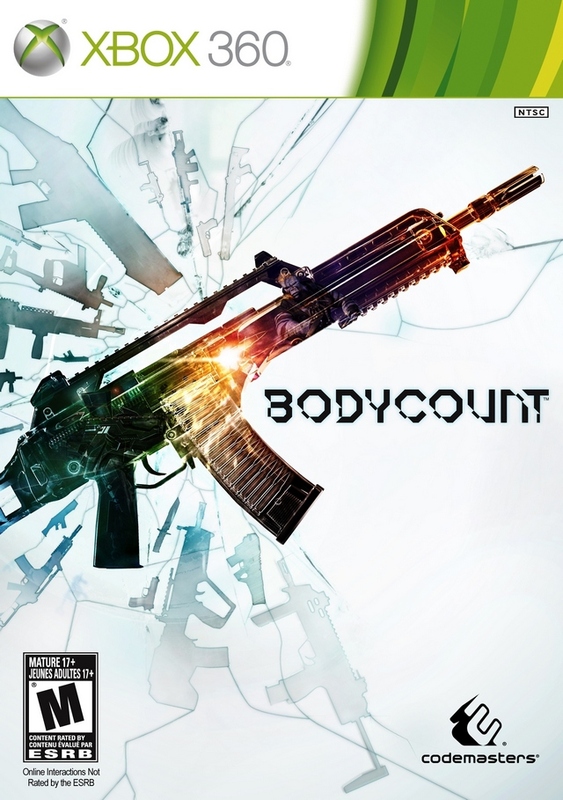 So here we go with another review, this time we are checking out a shooter from Codemasters that we enjoyed our time with at E3, by the less than subtle title, Bodycount. In Bodycount, you the player, take on the role of an "asset" tasked with taking care of "targets" on behalf of the mysterious syndicate know only as the "Network". Vague? Yes, but all is revealed shortly after being thrown into an Africa hot zone between two duelling factions. 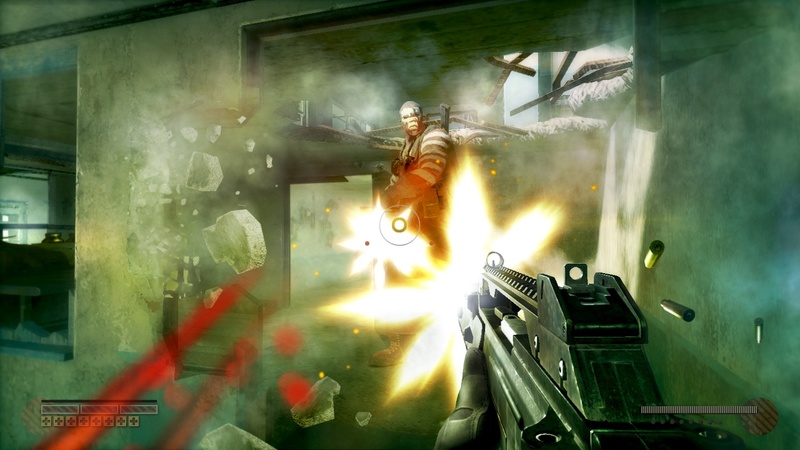 What makes Bodycount stand out in a world full of shooters though, that would have to be the shredable environments, ability to chain kills, and earning power ups to unload air strikes on enemies. That along with the online coop and multiplayer modes. So after playing through the story mode followed up with online play, I think it is time to got down to my time spent with Bodycount. Visceral is how I would describe my time playing through the story mode of Bodycount. 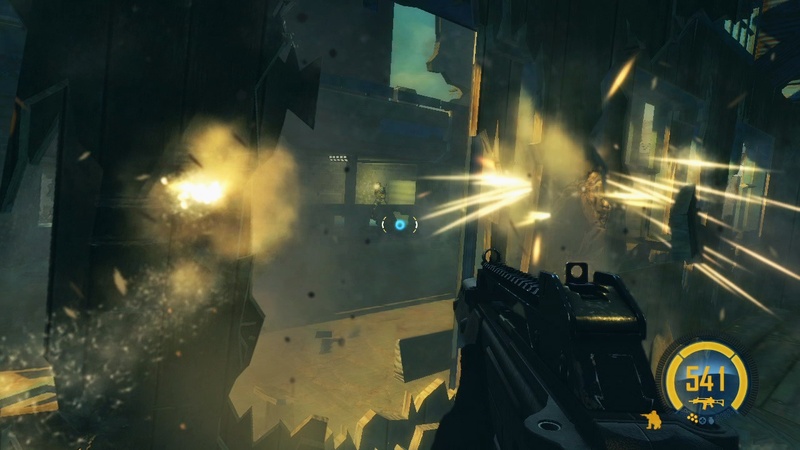 The reason being is that the gameplay is fast and the shredable environments to creatively take whoever needs a good shooting is a strong feature to this shooter which adds an element of creativity in takedowns. 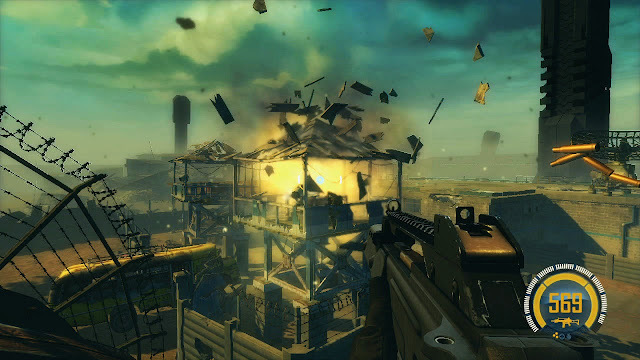 I did enjoy the fast run and gun gameplay, as it made for some hectic white knuckle situations. The guns you start with felt a bit nerfed, but you will soon be able to select some beefier artillery along with power ups to make hard to complete situations a kick in the pants to run and gun through. 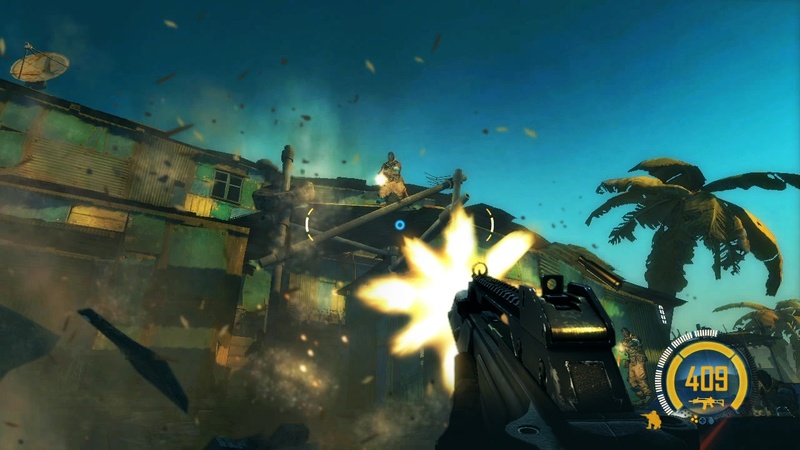 Unlike a lot of other shooters out there, Bodycount is bright with large open maps to determine the strategic approach in which you choose to take towards your next objective. The story unravels through the narrative from an unknown woman which one can assume works for the network, but I felt the audio gold that the developers were trying to get across, and might I add did well, was how much louder the gunfire and the explosions were in comparison to anything else making this a title to truly enjoy at high volumes. Melee is the first thing that comes to mind when I think about the things that I disliked in my playthrough. Unfortunately, there are some more things that also come to mind when I start thinking about it. The story mode was rather short, taking just under six hours to play through on easy mode, don't judge me. Back to what I was talking about before I got sidetracked, melee, my shooter play style is to move fast and fight within close quarters, which means significant use of the melee attack. It is still an effective move in close quarter situations, but the hit detection is not very forgiving, as the enemy needs to be right in front of you and not off to the side at all. Lastly, for me and my time spent with Bodycount, was getting into online matches. It wasn't that nobody was on, because once I got into a decent lobby it played , as well as the single player mode, but some of the time it was almost like my system froze while connecting and wasn't able to ready up, but aside from those issues, that was all that came to mind. Throughout my time spent with Bodycount, I did have fun. It did take some time to unlock those weapons that work really well when shredding buildings to take down anyone standing between you and your objective. The story progression went smoothly and the arcade gameplay is something that does help with the replay value of this game, but due to a very competitive release date and limited amount of content, I do not see being the online community being around long without additional DLC. Mashbuttons.com gives Bodycount a 7 out of 10. Bodycount is available now for the Xbox 360 and PlayStation 3.